Michael Arrington of TechCrunch is reporting on an interesting news regarding a Google branded netbook, which could launch late next year. This rumored netbook will of coarse run on top of Chrome OS with mobility features like support for 3G, and will be sold directly to consumers under the Google brand. It is also being said that Google has already sent a RFP (Request for Proposal) to its hardware partners like Acer, HP, Dell, ASUS, Toshiba, as one of these will be selected to build the hardware for the netbook in question. Just like the Google-branded Nexus One phone, this Chrome OS netbook is most likely to be designed by the folks in Mountain View, California, and one of the above mentioned partners is going to manufacture the hardware for it. 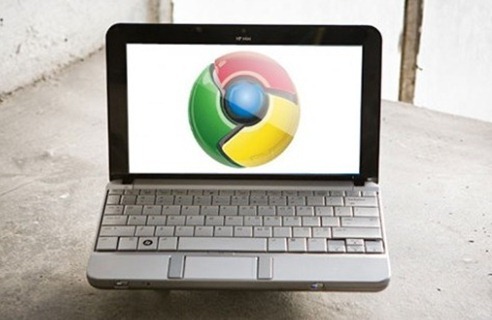 Chrome OS was unveiled by Google to the public for the first time last month. Chrome OS represents Google’s view point of what an OS should be like in this era. It is an open source operating system, designed specifically for the netbooks market to provide them fast experience using reduced boot and startup time. Speed, security and simplicity are the main aspects of Chrome OS. Pre-release Chrome OS images are already available for download, which you can go ahead and try out on a supported hardware. You can also follow the complete step-by-step guide posted here on How-to install Chrome OS as a VM in Windows 7. I think this is awesome and they should hurry and release it..